Silver Waves, the Cantonese restaurant of Chatrium Hotel Riverside Bangkok, has introduced its new signature dishes for this season. Literally dine above the Chao Phraya River in the stunning Silver Waves. 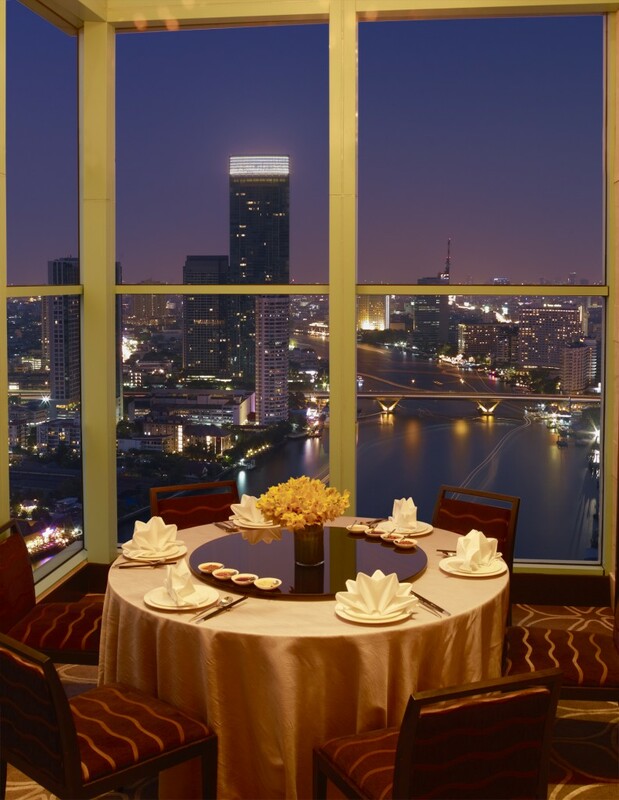 At Bangkok’s highest Chinese fine dining restaurant by the river, perched high-up on the 36th floor, the views are truly breathtaking. From delicately handmade dim sum to sumptuous feasts, Our Chinese Master Chef presents a diverse selection of authentic Cantonese styles and modern Chinese twist cuisines. For this season, our chef has carefully created new signature dishes that highlight the natural flavor of ingredients and perfectly blends textures and colors. From the simplest to the extravagant, our dishes are prepared for your delight in a remarkable dining experience. A new signature dish, Silver Waves Tea Infused Peking Duck, infuses traditional Oolong Tea into an authentic roasted Peking Duck which is served with handmade pancakes, a vegetable side dish and special Hoisin sauce. Tea enriches the duck so it is tastes tenderer and tastier on every bite. Our Master Chef only chooses freshly caught fish and locally sourced ingredients for, Steamed Black Garoupa with Soy Sauce; seasoned with a special homemade soy sauce and garnished with ginger and spring onions. The sauce is gently poured on a streamed Black Garoupa upon being served at the table to maintain the finest textures and tastes. Savor the taste of Prawns Stuffed with Crab Claws in X.O. Sauce. It is made from minced jumbo prawns and fresh crab claws, topped with Original Silver Waves X.O. sauce and served with boiled broccoli as a side. End with Deep-fried Taro stuffed with Custard Cream. Experience the crispy taro filled with marvelous custard cream that melts in your mouth. Also take time to enjoy the all-time favorite dessert, Pancake stuffed with Chinese Dates and Red Bean. You can never get enough of these sweet sensations.